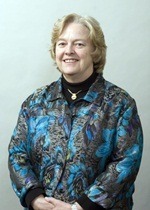 Jacquelynne Eccles of the University of Michigan will present a talk titled, “What Are We Doing To Our Young People? Designing Appropriate Educational Contexts for Adolescents,” from 4:30 to 5:30 p.m. Monday, Oct. 18, in the Sky Room of the Holmes Student Center. Eccles is the McKeachie-Pintrich Distinguished University Professor of Psychology and Education and a research scientist at the Institute for Social Research at the University of Michigan. For several decades, she has conducted interdisciplinary research aimed at better understanding and promoting optimal adolescent development. Eccles is especially interested in understanding how schools contribute to adolescents’ engagement in academics and achievement motivation by creating a developmentally appropriate learning environment. Community members with interests in the education and development of adolescents are strongly encouraged to attend this event, which is open to the public and sponsored by the Northern Illinois University Collaborative on Early Adolescence (NIU-CEA). CPDU credit is available. The NIU-CEA is a group of NIU faculty and staff with strong interests and expertise in adolescent development. The mission of the NIU-CEA is to support and enhance young adolescent learning and development in the academic, social, emotional, health, cultural, and civic areas of their lives. The NIU-CEA is committed to working in partnership with schools and community youth organizations to understand the needs of the adolescents they serve, identify resources that can be accessed to address needs, and implement changes to meet adolescent needs. Visit the website or contact Nina Mounts at (815) 753-6968 or nmounts@niu.edu if you are interested in learning more about the NIU-CEA’s activities. For more information on the event, contact Jennifer Karre at niu-cea@niu.edu or (815) 753-8279. Light refreshments will be served prior to the talk.